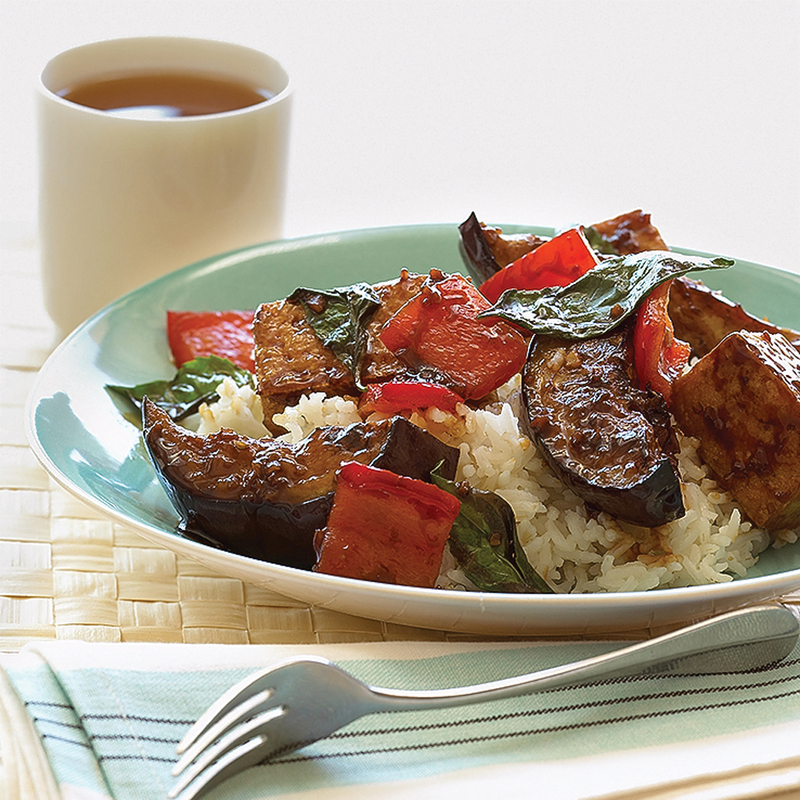 A flavorful dinner ready in less than 30 minutes, this Sitr-Fried Eggplant and Tofu dish will have your family raving. Serve over rice with a simple green salad for a complete meal. Heat oil in a large nonstick frying pan over high heat, add tofu, and gently cook, turning tofu occasionally, until browned slightly, about 5 minutes. Use a slotted spoon to transfer tofu to a plate. Cook garlic, eggplant, and bell pepper in pan until softened, stirring occasionally, 8 to 10 minutes. Add soy sauce, sugar, and oyster sauce and cook until heated through, another 2 minutes. Return tofu to pan and gently stir to coat. Remove from heat and stir in basil leaves. Serve over rice.